Are you dying to own a Mac, but you just can't get your mind past the minimum $1000 cost of getting an Apple computer? If so, today may be your day to buy. It's Black Friday, and even Mac prices are getting cut. These prices aren't as deep as other tech products, but you can still find some deals from online retailers. I've taken a look at a number of these Mac sellers to give you the lowdown on what you need to know before making a purchase. Club Mac, Mac Connection, and MacMall have some great deals on Apple computers. You can get a white 13-inch MacBook for $884.98 at Club Mac and MacMall, for example, while Mac Connection sells the same computer for $849. The only problem with these retailers is they are depending heavily on mail-in rebates to cut costs. If you like to procrastinate or can't stand paperwork, then you'll want to avoid these stores. But it's worth a look for coupon clippers and other deal hunters. The Apple Store is offering some of its own deals for the holidays. These sales are not as steep as you'll find elsewhere, but you won't have to mess around with rebates, either. Every price you see comes as is with no strings attached. You can grab a 21.5-inch iMac for $1098 or a 17-inch MacBook Pro for $2398 -- both prices are marked down by $101 for today only. Macs missing from Apple's sale include the Mac Mini and the MacBook Air. New York-based B&H is offering some deals on Macs, but most of the sale prices are pretty weak. In fact, the Apple Store is beating several of B&H's sale prices today. But the more money you spend with B&H, the deeper the discounts. The best deals I found are on the Mac Pro desktop computers like the 2.66 GHz Quad Core for $2299, and the 2.26GHz 8-core for $3079. B&H's Mac Pro deals offer a savings of $200 or more, and no mail-in rebates. TIP: These deals are really time-sensitive. B&H does not process orders on Friday evenings so get your purchase in before 4:30 ET today. 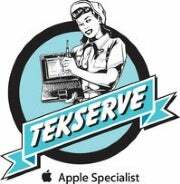 Founded in 1987, TekServe is the go-to Apple reseller in New York city. They've also got some great deals on MacBooks this weekend. You can get a 13-inch 2.13 GHz white MacBook for $897 and a 2.0GHz 13-inch aluminum MacBook for $1027. TekServe's deals are rebate-free, but supplies are limited so you'll have to act fast. No automated purchasing here, to take advantage of the deals on the store's Website you'll have to call TekServe at (212) 929-3645 xt. 2. TekServe ships across the United States. I've found some great deals from Amazon this year, but I wouldn't count Mac computers among them. The best you'll find is a $50 savings on a Mac Mini for $549, and the Mac Pro desktop prices match B&H's. For everything else, you can find better deals elsewhere. Have you found other online killer deals for Macs? Let us know in the comments.